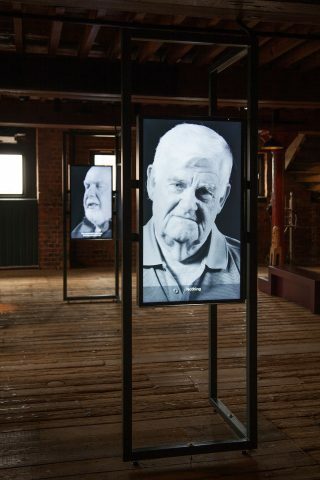 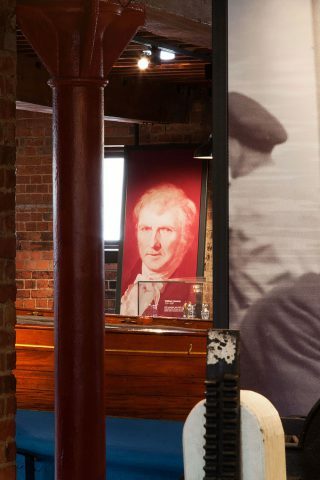 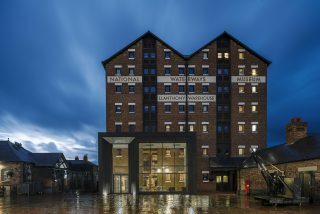 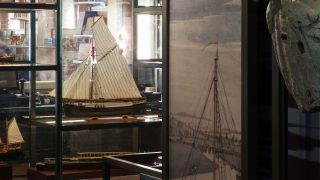 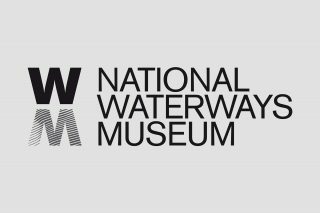 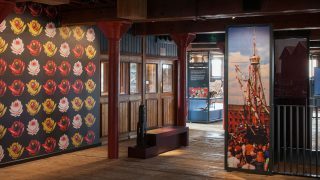 We carried out the complete refurbishment of the National Waterways Museum in Gloucester, a Grade II Listed Building on the docks in Gloucester that tells the 200-year history of the docks. 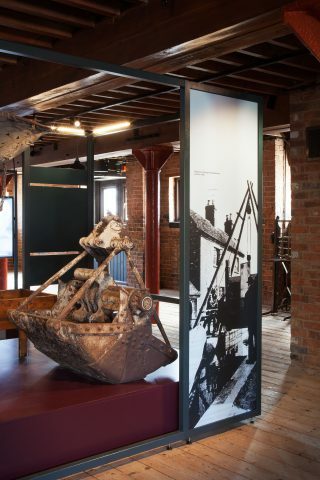 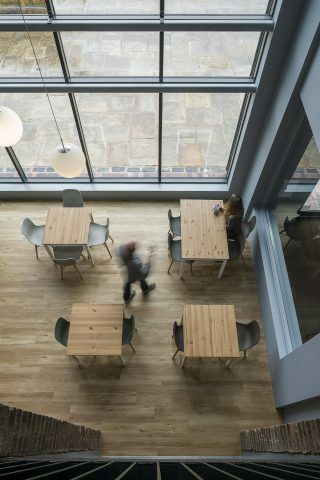 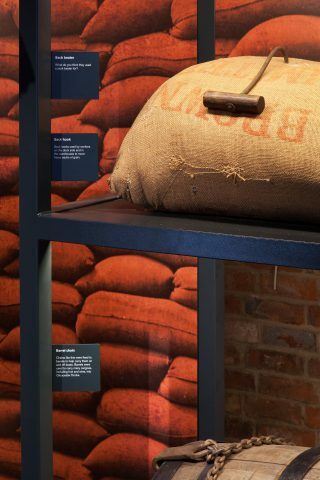 The client’s aim for this project was to revitalise the museum, transforming it into a successful heritage attraction and to establish a stronger connection to the public realm. 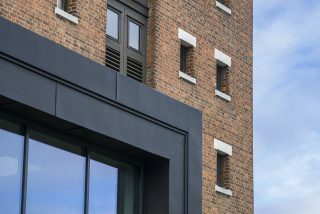 Our starting point was to celebrate the building and include it as part of our overall design. 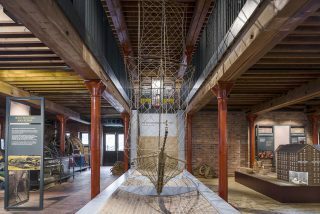 The new entrance incorporates an enlarged opening with the original masonry facade, and its double height allows a better connection with the museum’s interior. 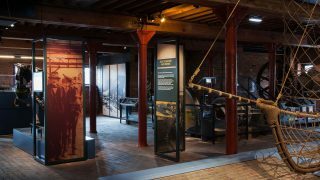 We designed a beautifully crafted frame system to display objects and interpretation, and to improve the vistas and sightlines through the museum. 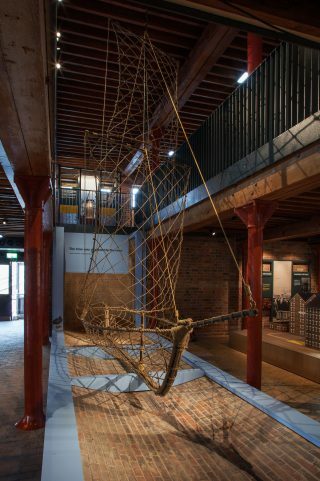 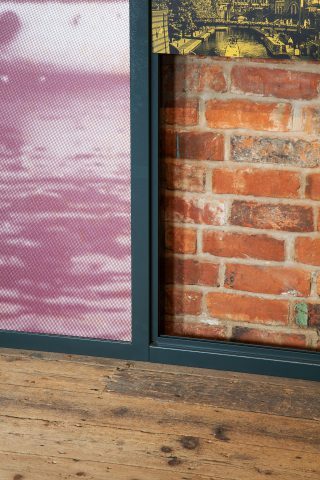 This approach allows long views across the building, and lets the rich materials of brick, timber and metal act as a backdrop to the story-telling.